Elp is a small village in the municipality of Midden-Drenthe with about 350 inhabitants. Especially for Elp is the reference to the Elp culture (ca. 1800-800 BC): a Bronze culture in East Netherlands and North-West Germany. The Elp culture is characterized by low-quality earthenware pots (German: "Kümmerkeramik"). The first phase is characterized by grave hills (1800 - 1200 BC), and is strongly linked to simultaneous grave hills in northern Germany and Scandinavia, and apparently also related to the tomb hill culture (1600 - 1200 BC) in central europe . During this period the dead were buried in shallow pits and covered by a low tomb hill. This phase was followed by a period of 1200 to 800 BC. In which the dead no longer buried, but were cremated and transformed into urns and low tombs. Family cemeteries only occurred in later stages. In Elp is one of the two outdoor art areas, where the Foundation for Outdoor Art organizes workshops. Furthermore, the association of the E.L.P.E.R. Revue since 1970 theater performances in the Drents. There are also several dining options in Elp. Elp counts three entries in the national register. Below are two farms, both of the 18th century. The third national monument is De Zandhof (The Steinhof), a castle with its outer space. 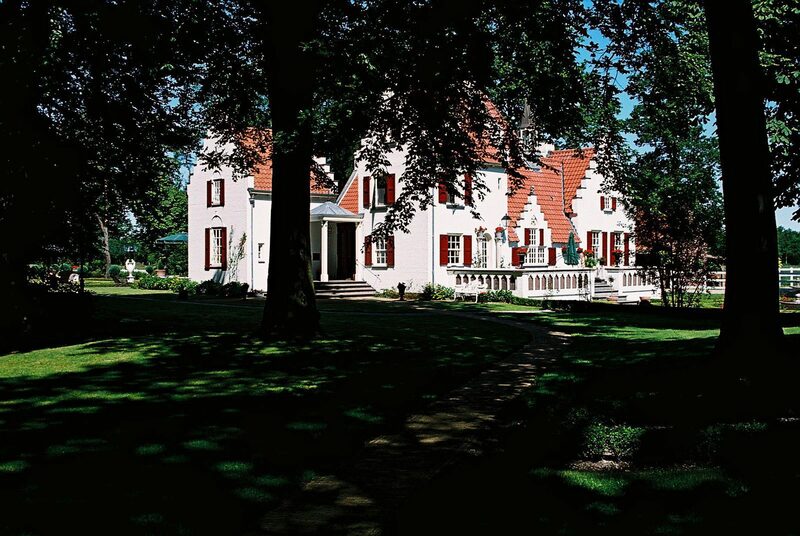 The oldest part of The Zandhof dates back to about 1908. Homeliness and comfort in a place where previously hay and cows were lying .Now a place where girlfriends, friends or families together, surrounded by the ancient landscape . This monumental architectural farmhouse with art and design consists of five luxury suites with private bathrooms. The accommodation includes a sauna, jacuzzi, lounge area, dining kitchen anex meeting room and library.